Here at Delaware Periodontics, we are committed to providing expert periodontal and dental care services, including implants and laser gum treatment, to patients throughout the Wilmington & Dover areas. Our treatments are only one part of a healthy, beautiful smile, however. 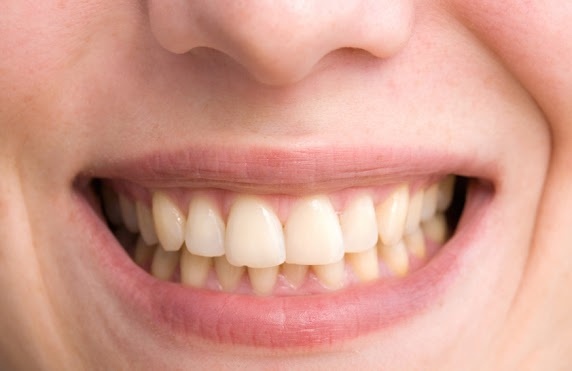 Here, we discuss the causes of crooked teeth. The development of the jaw is one of the most important factors in how a smile will develop. In order for teeth to be straight, a wide palate and a straight dental arch must both be present. The jaw and cranial bones must develop correctly for these to occur. The posture, eating, and breathing as a child all affect the development of the jaw. This means that the causes of crooked teeth begin at a very young age. In addition, bad oral habits that are common in early childhood, such as thumb-sucking or using a pacifier, can cause bite issues, which contribute to crooked teeth. When at rest, the tongue should rest up against the palate, or upper jaw, and the facial muscles should hold the lips closed. To develop straight teeth, the muscles that connect to the jaw, base of the skull, spine, and throat should all function properly. If the tongue is in a lower or forward position, it can cause issues such as flaccidity or lack of mentalis muscle strain. Poor tongue and lip posture can lead to crooked teeth. Encourage your child to practice proper breathing: in through the nose, and out through the mouth. Monitor your child’s mouth in resting position and encourage proper tongue positioning (up against the palate) and closing of the lips. Contact Your Wilmington & Dover, DE Periodontist Today! The dedicated team of specialists here at Delaware Periodontics all share the same goal: to help patients throughout Wilmington, Dover, and the surrounding areas achieve and maintain a healthy and beautiful smiles. If you have any questions related to oral development, oral health, or anything related to periodontics, we encourage you to call our office at (302) 658-7871 or request an appointment today. We can’t wait to hear from you! At Delaware Periodontics, we are committed to helping patients throughout the Wilmington and Dover, DE areas achieve optimal dental health. Dr. Klassman and his professional team specialize in a wide variety of expert treatments, both dental and periodontal, in our friendly and welcoming office environment. It’s no secret that there have been a variety of teeth whitening fads over the years. 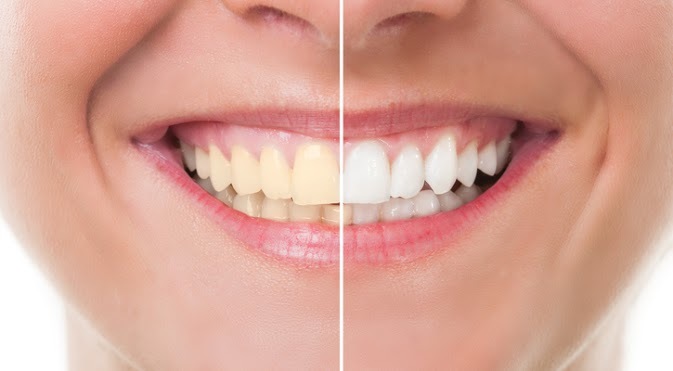 From baking soda to strawberry paste, these DIY teeth whitening methods have been tried by young and old, all for the purpose of achieving a sparkling white smile. One of the most recent and popular trends is charcoal for whitening. Let’s take a look at this method and discover whether it really works. The charcoal method of teeth whitening involves smearing a charcoal-derived paste on the teeth, brushing, and then rinsing to reveal a whiter smile. The trend originated on social media platform Youtube, and quickly spread to hopeful smilers everywhere. While this charcoal paste absorbs bacteria and staining, proving effective for some, it also can cause serious harm to the teeth. This substance is not a professional or approved, and its severity can erode and deteriorate the enamel on the teeth, and also may cause blotches or staining. Once the enamel has been lost, it won’t grow back; the only thing to do is cover it with restoration. Loss of enamel can contribute to a host of dental problems, including gum disease. Dr. Klassman advises patients to avoid DIY methods of teeth whitening to preserve the enamel of the teeth, and maintain optimal oral health. It’s best to use professional methods of whitening, such as formally-tested treatments, or at-home whitening trays that have been approved by your dentist. If you’ve used charcoal to whiten your teeth, we encourage you to request a consultation with your Wilmington and Dover, DE Periodontist to ensure that your teeth are healthy and no damage has been done. If you have any questions related to this article, we welcome you to give us a call at (302) 658-7871. We look forward to hearing from you! At Delaware Periodontics, we believe everyone deserves a healthy, beautiful smile. That’s why we’re committed to helping patients throughout Wilmington and Dover, DE achieve optimal oral health through a variety of dental and periodontal services, including Pinhole Gum Rejuvenation. For those patients who are experiencing gum recession, our experts here at Delaware Periodontics are pleased to offer this procedure to treat and restore the gums. Find out more about this procedure by reading through our frequently asked questions below! A: Gum recession refers to the loss of gum tissue along the gumline. 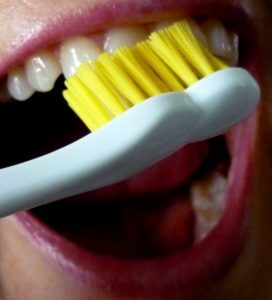 This can occur as a result of periodontal disease (gingivitis, periodontitis, advanced periodontitis), the natural aging process, or abrasive habits when it comes to brushing the teeth. A: When gum recession occurs, the root structure of the tooth becomes exposed. This means that tooth decay and other problems can affect the teeth along the gumline and beneath it. Since healthy gums are essential for a healthy mouth, getting gum recession treated is important for lasting dental wellness. A: The Chao Pinhole® Surgical Technique is a minimally invasive option for treating gum recession. Unlike traditional grafting techniques, PST is scalpel and suture-free. A: Traditional gum recession treatments involve the use of donor tissue or soft tissue grafts in order to rebuild the gumline. This soft tissue would be sutured in place and would join with existing gum tissue as it healed. While this traditional grafting treatment is effective, comparable results with better patient experience can be achieved through the Chao Pinhole® Surgical Technique. A: During the Chao Pinhole® Surgical Technique, a needle is used to make a small hole in the patient's existing gum tissue. Through this pinhole, special instruments are used to gently loosen the gum tissue. These tools help expand and slide the gumline to cover the exposed root structure. There are no grafts, no sutures, and no incisions needed with the Chao Pinhole® Surgical Technique. It simply involves the adjustment of the existing tissue. No need to take donor tissue from the patient's palate. Here at Delaware Periodontics, we are dedicated to helping patients throughout Wilmington, Dover, and the surrounding areas achieve healthy teeth and gums for a gorgeous smile that will last a lifetime. If you’re ready to take the next step toward your healthiest smile, we’d be thrilled to help! If you are interested in learning more about how Pinhole Gum Rejuvenation can treat recessive gums, or have any questions related to this procedure, our office, or any of our other services, we welcome you to give us a call at (302) 658-7871 or book an appointment now. We can’t wait to help you maintain optimal oral health! Most people have had that frightening moment; you take your toothbrush out of your mouth and see blood. Your gums are bleeding! Many have experienced it, but not many people understand just why their gums are bleeding. With the help of Delaware Periodontics, you can prevent and treat many of the causes of bleeding gums. Several different factors and conditions may be associated with bleeding gums. With the exception of a few, most of these problems involve plaque or bacteria that settle around the gum line. Brushing Complications—Contrary to popular belief, you can brush your teeth too hard. Aggressive brushing may cause the gums to bleed. Additionally, using a toothbrush that is too strong for your gums can increase the likelihood of bleeding gums. Inconsistent Flossing—If you are only flossing the week before your visit to Delaware Periodontics, it is likely that your gums will bleed. Consistent flossing is important for plaque removal to prevent cavities and to reduce gum sensitivity and bleeding. Gingivitis—Gum disease is commonly associated with bleeding gums. If your gums are bleeding, despite consistent flossing and brushing, you may have gum disease. Contact Delaware Periodontics to have an experienced periodontist evaluate your gum health! Leukemia—Bleeding gums can also be an indicator of more serious conditions, such as leukemia. While your gums are most likely bleeding for a less serious reason, be sure to have a dental examination in order to feel confident! Other Causes—There could be a variety of reasons why your gums are bleeding. Typically, bleeding gums are exacerbated by plaque, which may build up as a result of poor oral hygiene or alignment issues. Some additional conditions that may be associated with bleeding gums are poor-fitting fillings or crowns, orthodontic malocclusion (misalignment, overlap, or overcrowding of teeth), or periodontal disease. How Are Bleeding Gums Treated? If you have bleeding gums, there are several treatment options for you. In most cases, your gums are bleeding because of your oral hygiene habits. In these instances, you simply need to improve your oral hygiene consistency; within a short period of time, your gums should be back to normal. In more serious cases, you may need to visit your periodontist to undergo dental X-rays a full examination to diagnose your problem. Depending on why your gums are bleeding, your dentist or periodontist may be able to provide treatment directly. One treatment, root planing, is a method of periodontal therapy that involves a “deep cleaning” of the roots to remove plaque. For many individuals with bleeding gums, this will be sufficient to treat the issue. If your condition requires additional treatment, our periodontist may refer you to a specialist. How Can You Prevent Bleeding Gums? Because many of the causes of bleeding gums are due to inconsistent or poor oral hygiene, prevention is often quite simple: improve your oral health! Consistent brushing and flossing, in conjunction with regular dental and periodontal visits and cleanings, is often the best defense against bleeding gums. Call Delaware Periodontics in Wilmington or Dover for suggestions on best-practice oral hygiene strategies and to set your next appointment. Visit Delaware Periodontics in Wilmington or Dover, DE! Bleeding gums are both painful and avoidable. You can take action to prevent their onset through consistent and quality oral hygiene. Part of your oral hygiene plan should consist of regular visits to your friendly periodontist at Delaware Periodontics. With locations in both Wilmington and Dover, DE, our staff is ready to serve you! Call today to set an appointment and take the first step towards healthier gums and teeth!